can-is-ter-ec-to-my noun Surgical removal of unnecessary canisters and plumbing from a motorcycle to promote better running and improve performance. The stock emissions control paraphernalia on the KTM 950 can affect idling, low speed performance, and general driveability - and if you ever tip the bike over and fill the canister with fuel, you can spend forever trying to restart the bike. 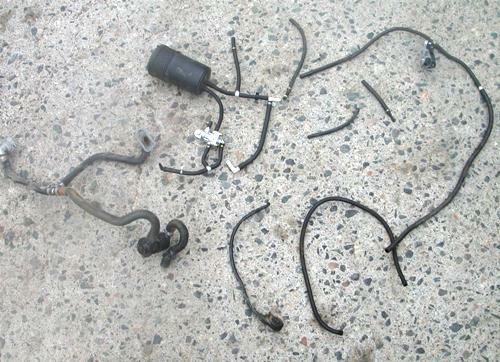 We can take all this unnecessary stuff off for you, or supply the parts to do it. Download the 1-page instruction sheet for doing your own canisterectomy (in Word format).